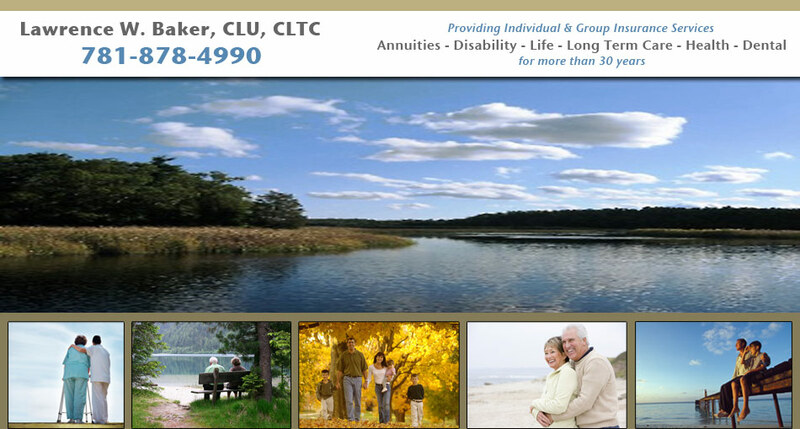 Lawrence W. Baker, an independent insurance agent based in Hanover, Massachusetts, provides quality insurance products and unparalleled client service to individuals and businesses throughout Massachusetts, Connecticut, Rhode Island, New Hampshire and California. Work with a professionally licensed agent who has consistently delivered knowledgeable guidance and personal service for over 30 years. Lawrence W. Baker is ready to serve your personal and business insurance needs now, and for years to come. Lawrence W. Baker works with major providers of Life, Health, Disability and Long-term Care benefits programs, so we can offer you a comprehensive range of options. We do all the research – saving you hours of tedious and possibly confusing work every year. We can competitively bid your program and present you with recommendations that meet both your employees’ needs and your company’s budget. Our experience and long-term relationships with these reputable insurance companies allow us to place your policy with the company offering the best coverage for you at a very competitive price.